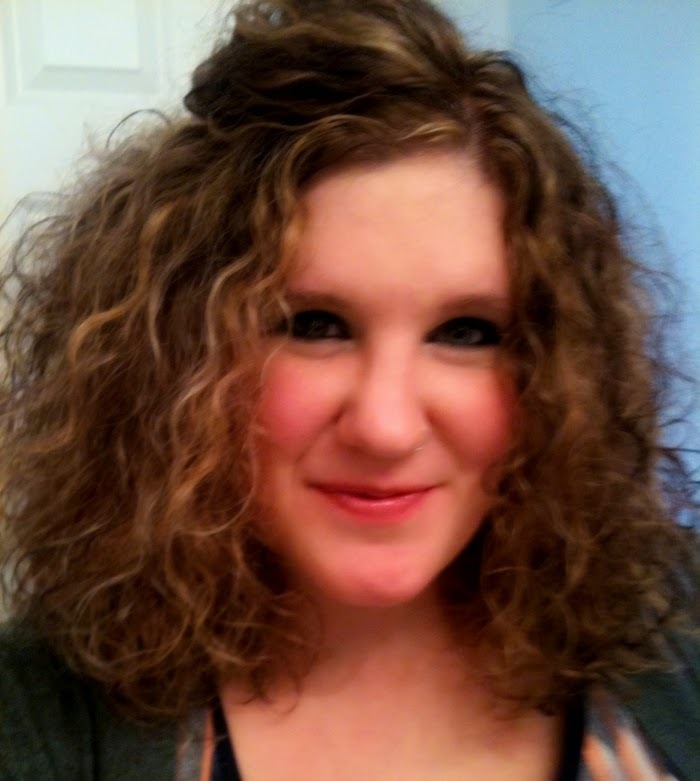 Elizabeth Carlson is living in the pits of hell- also known as grief. Her husband of eight years, the father of her four children and the love of her life, died from cancer. Grady's prognosis was grim, even from the start, but Liz never gave up hope he would survive. How could she, when he was everything to her? Six months later, she is trying to pick up the pieces of her shattered life and get the kids to school on time. Both seem impossible. Everything seems impossible these days. When Ben Tyler moves in next door, she is drowning in sorrow and pain, her children are acting out, and the house is falling apart. She has no time for curious new friends or unwanted help, but Ben gives her both. And he doesn't just want to help her with yard work or cleaning the gutters. Ben wants more from Liz. More than she's capable of ever giving again. As Liz mourns her dead husband and works her way through the five stages of grief, she finds there's more of her heart to give than she thought possible. And as new love takes hold, she peels away the guilt and heartache, and discovers there's more to life than death. 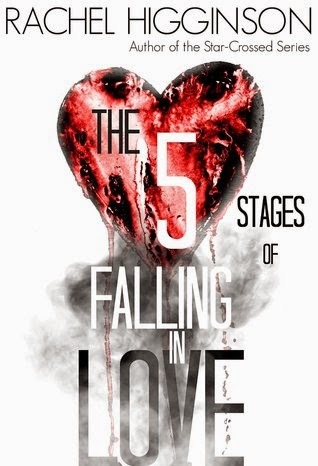 The Five Stages of Falling in Love, by Rachel Higginson, has been appearing on my social media newsfeed since the day it came out. Day after day, I have read many amazing things about this book. I have to admit that it took me a while to actually get comfortable to read this book. I knew going into this story that it was going to be difficult for me to read it. I have a close friend that has a similar story to Liz. The medical situation was not the same, but her loss was equally heartbreaking. She left to work on a cold winter morning and during the day she received a phone call that changed her life. Her husband passed away in their home from a heart condition. He was too young to die. He was a person full of life just like Grady. He is missed every single day. I learned a lot from this book. When you are living a similar situation you don't actually stop and think about these five stages that will change your life, because they will. When somebody dies, a part of you dies with them. As I read Liz's journey, I saw her grow into another person. Every day was a new beginning. Some days she would go to bed and be totally fine, and the next, she would be back to square one. My heart broke for her. I was cheering for her to find her inner peace. To see her let go of her fears and her emotional baggage was remarkable. I knew that this book was going to be emotional. I was expecting some tears, but they never came. The tears are freely falling from my eyes now. As I type my review for this wonderful book. I tried to be strong for Liz through her journey and, I was. I think that my tears are not from everything she went through, but for all the struggles she has won with her strength and determination. It gives me hope for my friend and for every single person that is going through a hard time. It was my first time reading a book by Rachel Higginson and it won't be my last one. This is one book I will never forget. I give, The Five Stages of Falling in Love, by Rachel Higginson 5 emotional, life-changing, sublime, healing stars! Awesome review Mikki brought a few tears in my eyes reading your review and it also intrigued me with this book I love emotional books so this one fit right up my alley to read. Thanks for the review. The cover is stunning, first of all. And I thoroughly loved reading your review, even though it made me cry. I don't think this is a book that I can read, though. Not because it doesn't sound good; it most certainly does. But because I can't/ don't want to put myself in a situation to even have to THINK about this. My husband is... well, he is everything. I can't even imagine, and never want to have to imagine. When I was 17, I lost my first love to cancer, after he had been in remission for almost 5 years. That heartbreak almost undid me. This one is just too MUCH I think. Thank you for reading it, sharing your friend's story, and your feelings about this emotional story! I am absolutely dying to read this book. Glad you loved it. I have also heard so many great things about this book. I just wish that my TBR list wasn't so long. But I will definitely get to it soon.